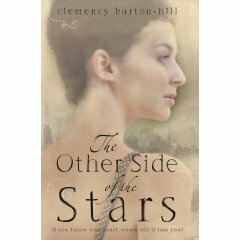 The Other Side of the Stars by Clemency Burton-Hill – It's Time to Read! I received this book from Headline to review. An unforgettable story of a young woman striving to find herself amidst the glitz and glamour of the film world. Actress Lara Latner is enjoying a golden summer – her new play is the toast of London’s West End, and she and her boyfriend Alex are setting up their first home together. But when her agent calls with an extraordinary opportunity – her potential break into Hollywood – she is plunged into turmoil. For the part, the lead in an American remake of a classic French film, is the role that made her mother, tragic actress Eve Lacloche, a legend. Lara does not know what to do. How can she bear to leave Alex, and their precious home for the months of the shoot? How can she ever hope to measure up to Eve’s luminous performance? But perhaps it is only by stepping into her mother’s shadow that Lara can hope to truly understand her, and to lay the past to rest. This is Burton-Hill’s debut novel, and if all her books are to this standard, she will have a long writing career in front of her. The story follows Lara from London to New York and Paris in pursue of her dream – acting. However, her latest, and biggest role to date is to play the lead in the film that was her mother’s masterpiece. On this journey of acting and self-discovery, she learns a lot about her family, in particular her mother, and some shocking secrets. The book is split into parts, some of the parts are set in the present, others in the past. One section is about Eve, her mother. This gave a wonderful insight into her and her own struggles, which we then saw revealed in more detail through Lara’s discovery. I liked the way this broke up the book and gave glimpses at what might have happened. I liked Lara. She was a girl with a tragic past, seemingly trying to do the right thing, even if she got that wrong. She worked hard, was honest and open, and I felt I connected with her. I was cheering her on and there were times I wanted to yell at her for making bad choices. In fact, all the characters were well written, and I liked all of them. I was interested in them all and the role they played in this story. Burton-Hill writes about challenging issues as well; such as depression over a decade ago, when people did not know that it was an illness, and the effect that had on sufferers. Also about long distance relationships, what death can do to a family, and of course, we get a glimpse into the acting, Hollywood world. My complaints are few. The first, was the Epilogue was a touch predictible, and not really necessary I felt. The second, was I felt the mention of Facebook was a little cheesy. And the third is the amount of swearing and smoking – both of cigarettes and joints – I felt both were a little too much. Other than that, I really enjoyed this book, and it is a wonderful debut novel.